Developer(s) and Others: "Sega Falcom"
Other Info: "Sega Falcom" is more or less Falcom and Sega. If the link doesn't work, type in "Sega Falcom" in Google. This game is also known as "Dragon Slayer II: Eiyuu Densetsu". Reprogrammed by Sega in 1994. 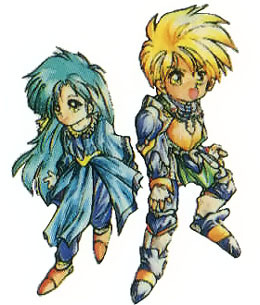 Original game in 1992 by Falcom. This is the Genesis version of DS:TLOHII. The story is about Atlas, a young man (fifteen to be exact) who will eventually travel the world and meet Rando (Age 32), Flora (Age 14) and Shindi (Age 20). They will become the new Heroes that will save the world. During the journey, you will interact with numerous characters from the previous DS:TLoH and deal with a crisis unlike anything you've seen before...Well, that's what the story makes you think anyway. 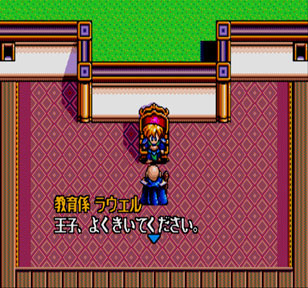 As I stated for the Super Famicom game, the story is very typical and leaves little to the imagination. The dialogue is somewhat humorous at times, but everything else about the story is ordinary. Anyway, the Genesis version is unique in the fact that it seems to be a complete overhaul of the original Falcom game. 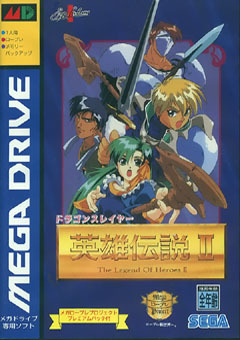 On the box of the Genesis version, it says "Sega Falcom". I'm guessing this was an ambitious project for both Sega and Falcom as they dub it a "Mega Role Play Project". I'm not entirely sure what the PC-Engine version of this game is like. 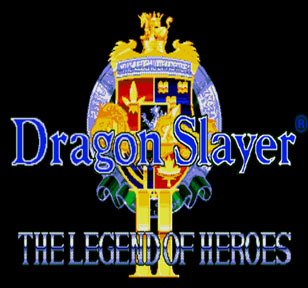 The "Legend of Heroes" games are actually a continuation of the original "Dragon Slayer" series. The graphics are vastly superior to the SNES version in most ways. Characters are big and bold and the screen isn't bordered off. The world that you traverse also has a different appeal to that the SNES port didn't have and the game manages to remain colorful, despite the color limitations of the Megadrive. 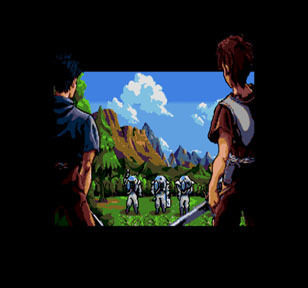 As far as Megadrive RPGs are concerned, Dragon Slayer: TLoHII manages to look decent and fits in without a problem. What bothers me is that there is no normal attack animation (The SNES version at least makes something come up)...though the enemies animate better. Even still, why on earth doesn't the water move in this version?? What reason could there possibly be for that? Not only that, but things like torches and most other environmental objects are completely static. WHY? While the SNES game seems more primitive, the Genny version feels more generic without novelty things such as moving water. I can't fathom why they would do such a thing. There are several other things the Genny version removed that I don't quite get, but oh well. On the upside, the music seems better on the Genesis which makes the already cool music of the original sound even better. As far as the sound effects are concerned (for both games), some are a little on the annoying side. It took me a few minutes to understand what that annoying sound was that happened when I walked on the field. Turns out that when you cast magic, you slowly recover as you move. They should have just made a sound for when it was full. 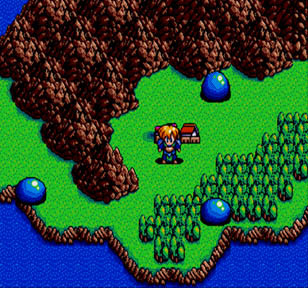 The gameplay is mostly traditional RPG stuff, though you can see enemies on the map. As stated before, you recover magic as you walk on the field, but you don't have much MP so you must use magic sparingly. You get numerous items that are mostly traditional to ordinary RPGs...the game is mostly traditional as a whole, but I will say this...Progression is relatively slow, even when you know what you're doing. A bit of unnecessary backtracking to previous areas at the start of the game. The command layout in battle seem to be a bit different in the Genesis version. Some enemies also have different names. 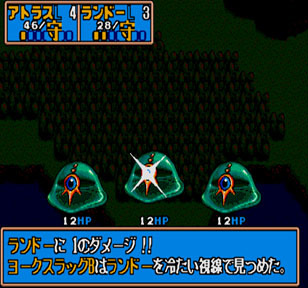 Slimes of the SNES version are Slugs in the Genesis version. 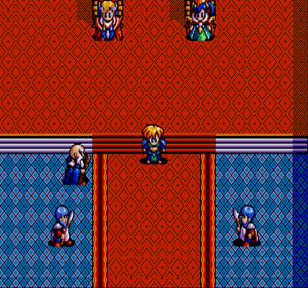 This version of DS:TLoHII is better than the Super Famicom port and a fair Megadrive RPG in and of itself. I'm probably pleased more with the game though simply because the Super Famicom has a far larger library of RPGs in comparison to the Mega Drive. Falcom fans and those looking for classic style RPGs for nostalgia may have a blast with this game, but seeing as it isn't exactly cheap, those who may have played more mainstream RPGs like Secret of Mana and Chrono Trigger (for the SNES/SFC) will probably find nothing of interest here.